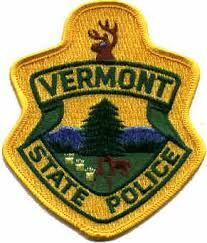 A Randolph VT man was killed in a single car accident last night on I-91 in Springfield. Vermont State Police said 26-year-old Jeremy P. Johnston was traveling north on I-91 when his Subaru Forester left the shoulder of the road and hit a tree. Johnston was not wearing a seatbelt and was ejected from his car. He was pronounced dead at the scene. At this time, speed appears to be a factor in the crash. Police urge anyone having information on the crash to contact the Vermont State Police, Westminster Barracks at 802-722-4600. Work began this week on the installation of a temporary bridge at Bridge #57 on VT Route 11 in Springfield VT. For Monday thru Friday, there will be one lane of alternating traffic with temporary traffic signals are in place. Crews will be removing existing pavement and other evacuation work in preparation of the temporary bridge installation. Pedestrians and bicyclists will not be affected, as access will continue for them as well. A Newport NH man was arrested on an outstanding warrant in Springfield VT last week. Springfield Police Officer Leonard said Anthony Jones was walking with a female near the Furman building when he made contact with Jones. After Jones identified himself, a routine check showed that Jones had an active VT arrest warrant. Jones was taken into custody and lodged at the Southern State Correctional Facility on the active warrant in lieu of $750 bail. The Blow-Me –Down-Farm and the former home of Charles Beaman will serve as the base for a new summer festival center for performing and visual arts. The Opera House North was awarded a $150,000 grant to renovate the historic farm. The grant is from the Northern Border Regional Commission. Director Evans Haile announced the project at the Monday opening of Madame Butterfly at the Lebanon Opera House.